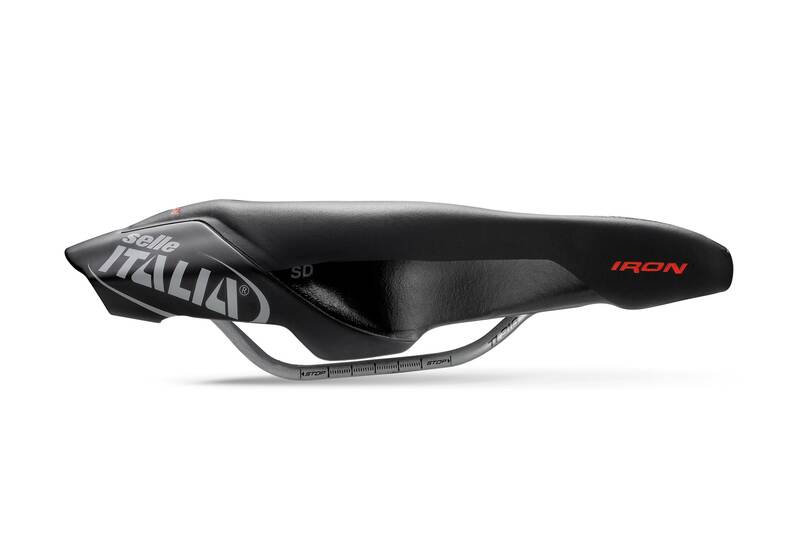 The Iron Evo Superflow SD is a saddle developed and created in the image and likeness of triathletes. The gritty, racing-focused look is evident from the matte tone of the Selle Italia logo and the “streamlined” red Ironman inserts, while visibility and safety are guaranteed by the fluorescent insert on the back of the saddle. On the technical front, the objective of guaranteeing a high level of comfort while pedalling without compromising performance is guaranteed by a series of characteristics that make it unique in its sector. The shape, regular and compact and with a redesigned front part, is capable of adapting to the triathlete’s seating needs and allows an effective push to be maintained at all times of performance. 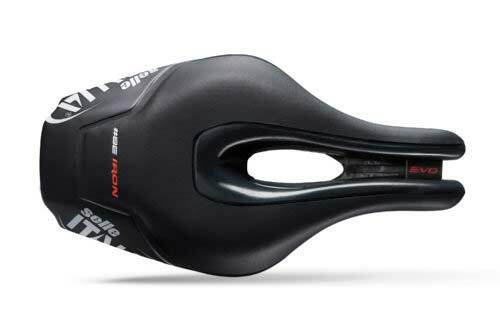 The increased width of the front is a guarantee of comfort without compromise, while a stable and effective positioning in the saddle is made possible by the soft-density padding and the front layer “seizing”.